Your road to savings leads to NEPA. Although Northeastern Pennsylvania is just a short drive to several major metro areas, we offer a very affordable cost of living, low tax rates, easy commutes, safe neighborhoods, great housing buys, and much lower commercial lease rates. 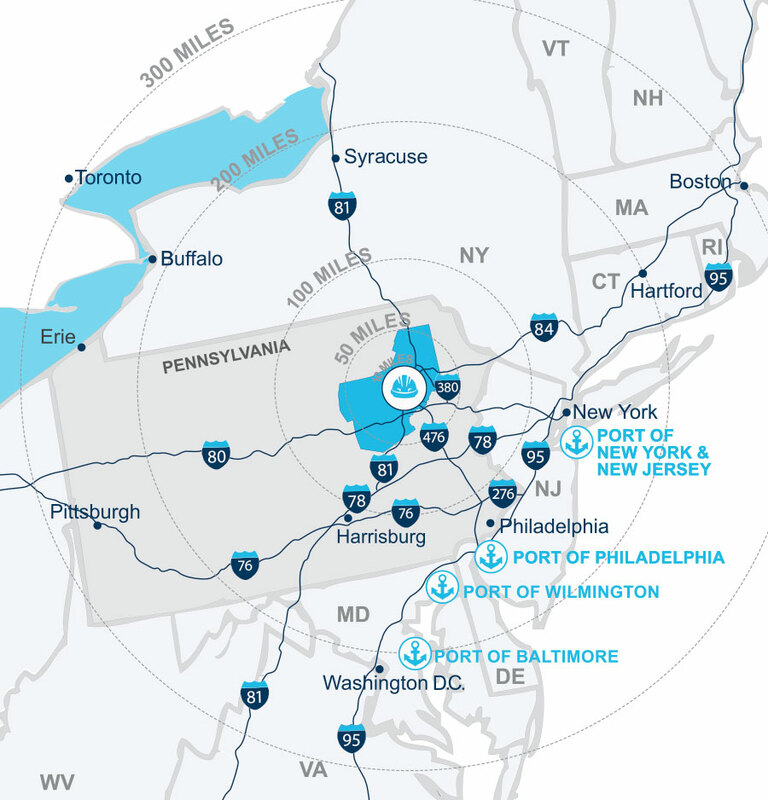 NEPA’s five interstates, active rail freight, modern airport, municipal bus transportation, and dozens of truckload and less-than-truckload companies, combine to make getting people and products to and from our area very easy. We are just two hours from New York City and Philadelphia. More than 51 million people live within 200 miles. If you are interested in saving money while serving an area that stretches from Maine to Virginia and west to Ohio, contact Mericle’s Bob Besecker, Jim Hilsher, or Bill Jones.